Along with millions of others, I’ve been a diehard fan of Google Reader for the past several years. Whenever I find a blog I want to follow, I simply add the RSS feed to Google Reader, so that I can keep up to date with posts, whether on my desktop or mobile device. 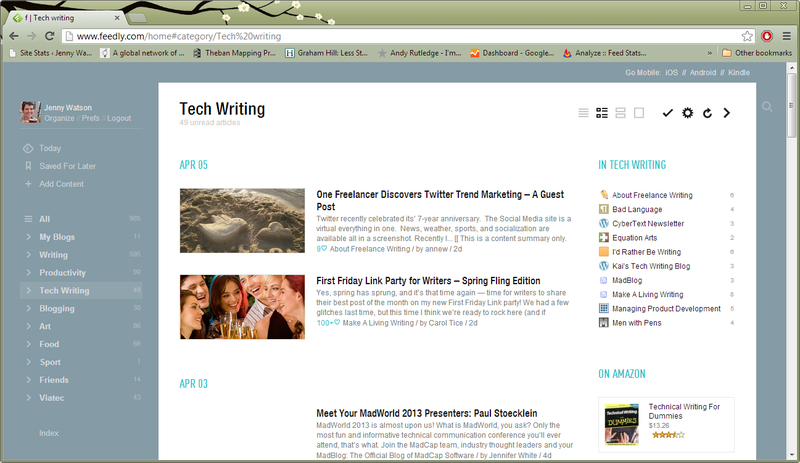 As you can imagine, when I heard the news of the demise of Google Reader, I was not a happy camper! This, after I was already annoyed that they’re killing iGoogle, which has been my start page forever. Anyway, what can you do? I’ve been trying out other readers, and they’re okay, but not fabulous. Part of the problem is that in Google Reader I starred a bunch of posts so I can easily find them again, and when I import my RSS feeds into other readers, I lose those starred posts. 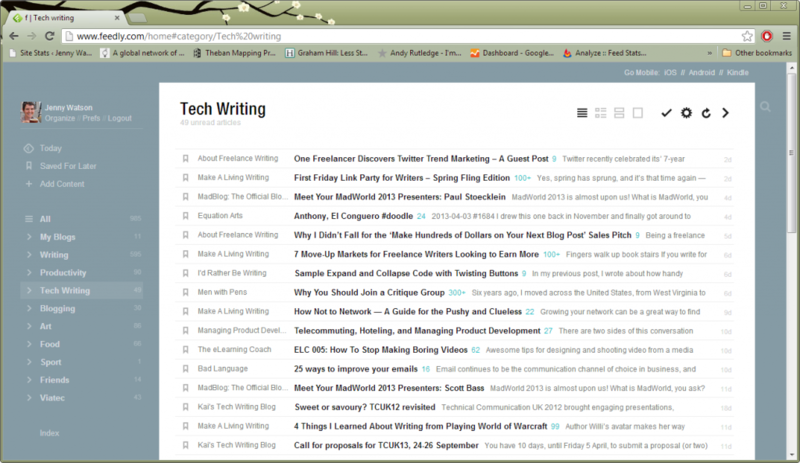 But then I tried Feedly. With Feedly, I can log in with my Google Reader credentials, so it can grab all my RSS feeds AND it adds my starred posts to the Saved For Later group. And when Google Reader finally goes away, all the data will be pulled onto a Feedly server. The icing on the cake, is that just as I was starting to get comfortable with Feedly, I (and other Google Reader outcasts) received a lovely welcome message from Edwin, CEO of Feedly, including a link to show us how to optimize Feedly to make it look similar to Google Reader. Now that is service! Now if only I could find a replacement for iGoogle. I’ve tried UStart, Netvibes, igHome… Any suggestions? Leave a comment below! Recently, I’ve been helping a client roll out an implementation of a new Helpdesk tool for tracking support calls. Rather than install the software locally on everyone’s individual computers, we’ve installed it on a server, and we’re using RDP (Remote Desktop) to connect to the server. I’ve written a user guide about our process, but I’ve also been providing support for a group in our division, including many people who’ve never used RDP before. 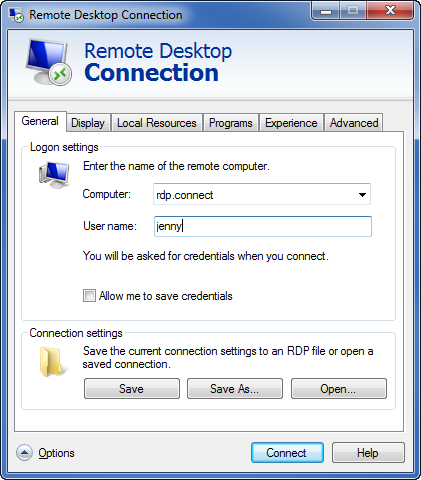 Some people work in the office and need to use a single RDP session while others work remotely and need to use two RDP sessions before they can log into the Helpdesk software. One RDP session is simple, but two RDP sessions are double the trouble. 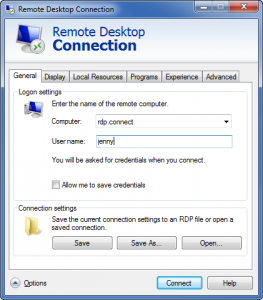 If you’re new to RDP, or you’re thinking about working remotely, here are a few tips and tricks to get you started. Note: These tips are for using RDP in a Windows environment. In the Windows Start menu, type remote in the search box, and select Remote Desktop Connection. In the Remote Desktop Connection dialog box, on the General tab, enter the name of the computer you want to connect to and your username. In the Remote Desktop Connection dialog box, click the Display tab. Drag the slider all the way to the right to see the remote computer in full screen. On the General tab, click Save. 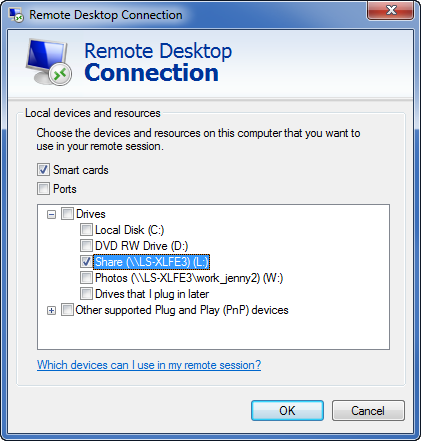 In the Remote Desktop Connection dialog box, click the Local Resources tab. In the Local devices and resources section, click More. Select the drives and devices you want to make available on the remote computer. In the Remote Desktop Connection dialog box, enter the details of your connection (computer, user name, display options, shared drives and devices). In the File name field, enter a name for the shortcut. Choose a location for the shortcut (such as the Desktop). When you use RDP at full screen, a tab appears at the top of the screen. If you can’t see the tab, hover your cursor near the top of the screen and the tab should slide down. You can pin tabs in place if you don’t like them sliding up out of sight. If you’re using more than one RDP session, the tabs are stacked, one on top of the other. You can drag the tabs sideways to see the computer name on the tab below or if the minimize and maximize buttons are hidden. If you’re running more than one RDP session, you might want to switch between the windows. To minimize a window, click the Minimize ( ) icon. To restore a minimized window, click the RDP button in the taskbar. To shrink a window, click the Restore down ( ) icon. To restore a shrunk window, click the Maximize ( ) icon. Got any burning questions about using RDP? Ask away and I will try to answer. Recently I worked on some API documentation with dozens of examples of code snippets. Anyone who reads code will tell you that color coding (syntax highlighting) makes code much easier to read. Since I was writing the API documentation in Madcap Flare, I needed a tool that I could use in that environment. Initially I tried the Syntax Highlighter, but I couldn’t get it to work for me. So I did another search, and discovered Prettify, a syntax highlighter by Google, and that worked like a charm. Download the Prettify tar file and unzip it (I used Winzip). 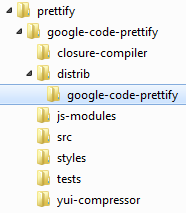 Copy the files from the distrib/google-code-prettify folder. 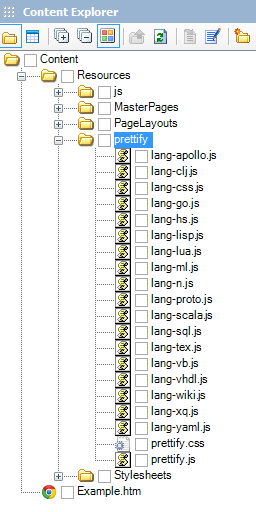 In your Flare project, paste the files into the Resources folder (I created a Prettify subfolder under Resources). 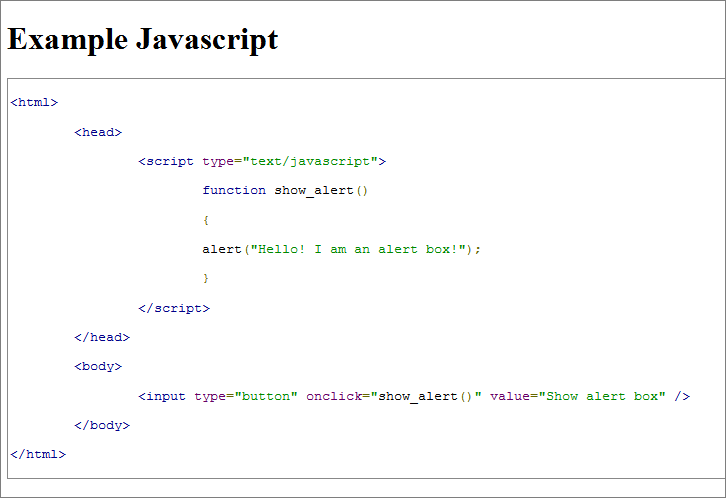 In Flare, open the topic containing the code snippet in the Internal Text Editor. In the <body> tag, add the onload instruction (B). Add <pre> tags around your code snippet, specifying the prettyprint class (C). NOTE: This doesn’t work for PDF output. Update September 12, 2012: Check out the MadBlog for instructions on how to use Prettify across all the topics in your project.